DENVER, Nov. 2, 2016 /PRNewswire/ -- eLoyalty, a TeleTech Technology company, today announced that it has released two new enterprise-class cloud contact center offerings for mid-sized businesses: eLoyalty Experience and Experience+. Leveraging over 25-years of expertise in designing, implementing and servicing enterprise-scale customer experience solutions with the Cisco® Hosted Collaboration Solution (HCS) and traditional premises-based platforms, eLoyalty Experience and Experience+ bundles this stability and expertise into solutions ideal for companies with 75 to 400 customer contact representatives. "For too long mid-size companies have been relegated to using unreliable contact center technology with feature, scale, and geographic limitations. eLoyalty Experience and Experience+ offers bridge the gap between mid-size and enterprise by providing the functionality, reliability and scalability once available only to large corporations with a solution that's both affordable and easily implemented," said Steve Pollema, president, eLoyalty/TeleTech Technology. "Our solutions give these rising businesses the ability to compete with even the largest of competitors by providing a world-class customer experience and helping them grow." 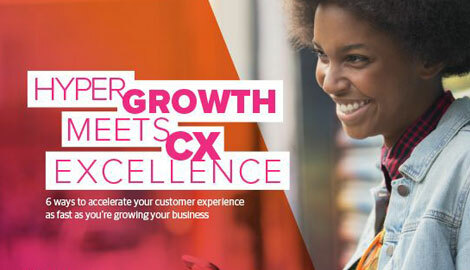 For more information, please visit eLoyalty Experience to learn how mid-sized organizations can easily and affordably achieve an enterprise-class customer experience. Cisco and the Cisco logo are trademarks or registered trademarks of Cisco and/or its affiliates in the U.S. and other countries. A listing of Cisco's trademarks can be found at www.cisco.com/go/trademarks. icPortal is a trademark of eLoyalty, a TeleTech Company.